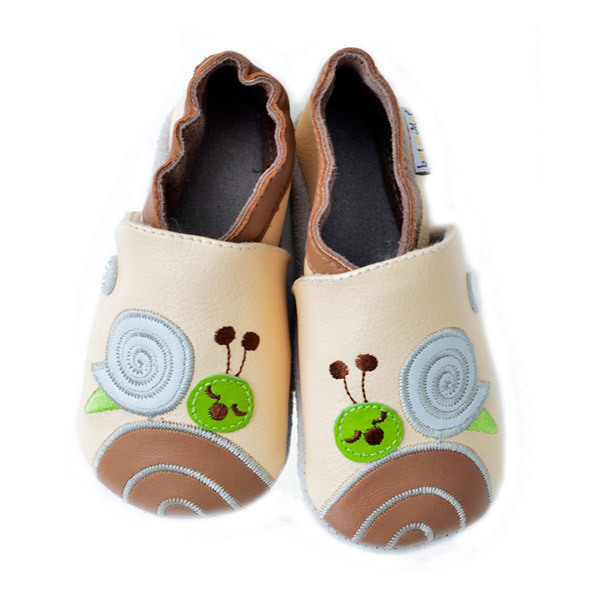 Adorable indoor slipper shoes with "Snail" design soft suede sole, perfect for wearing at home, nursery or on a play date! Available sizes: 0-6 months, 6-12 months, 12-18 months and 18-24 months. Colour: cream, Hazel and Moss-green.